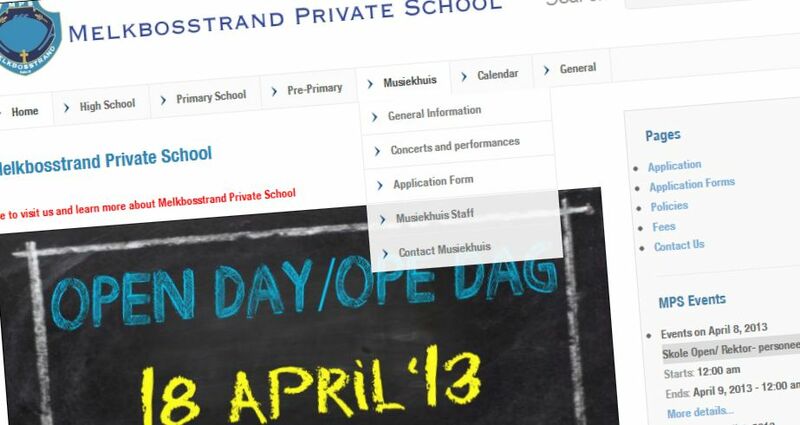 This website was developed for a private school based in Melkbosstrand, Cape Town, South Africa. It boasts an online calendar of all events for the current year which is accessible by parents and students. It is responsive with various types of sliders and particular attention paid to detail and design for each individual campus at the school such as pre-primary, primary, high school, etc. Each school has a dedicated page for its own newsletters and events. It is a multi-faceted web-site which is easily navigated and presents all relevant information at a simple click with links to outsourced suppliers and social networks.